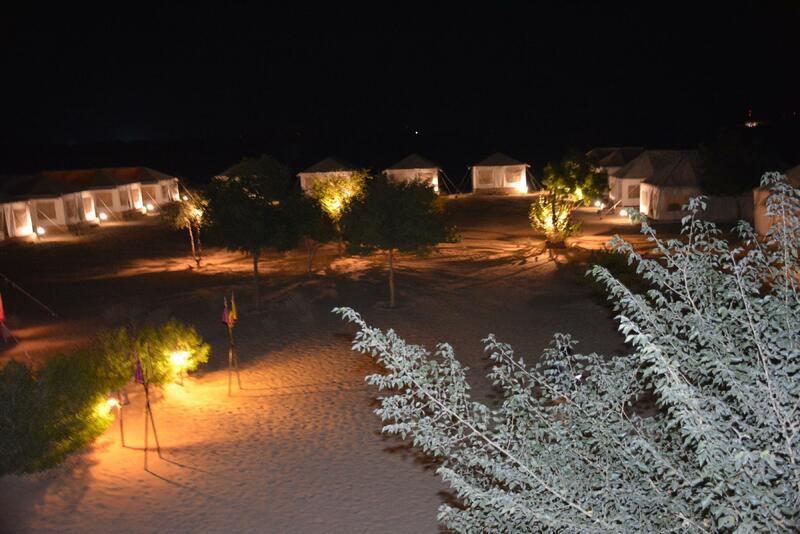 "It was the perfect respite from the go go go chaos of travel..."
Have a question for Prince Desert Camp Resort? "Good experience, convenience and safe"
Ideal for fun and relaxation, Prince Desert Camp Resort is located in the Sam Sand Dunes area of Jaisalmer. The city center is merely 45 Km away and the airport can be reached within 300 minutes. With its convenient location, the hotel offers easy access to the city's must-see destinations. Take advantage of a wealth of unrivaled services and amenities at this Jaisalmer hotel. While lodging at this wonderful property, guests can enjoy 24-hour room service, 24-hour front desk, express check-in/check-out, valet parking, car park. In addition, all guestrooms feature a variety of comforts. Many rooms even provide wake-up service, desk, extra long beds (> 2 meters), fan, toiletries to please the most discerning guest. Throughout the day you can enjoy the relaxing atmosphere of the massage. With an ideal location and facilities to match, Prince Desert Camp Resort hits the spot in many ways. "Though this was one of the farthest ones the location was go..."
Location is very good , out of mostly crowded desert camps. With limited resources, within this tough desert, the staffs did their best to make our stay pleasant. 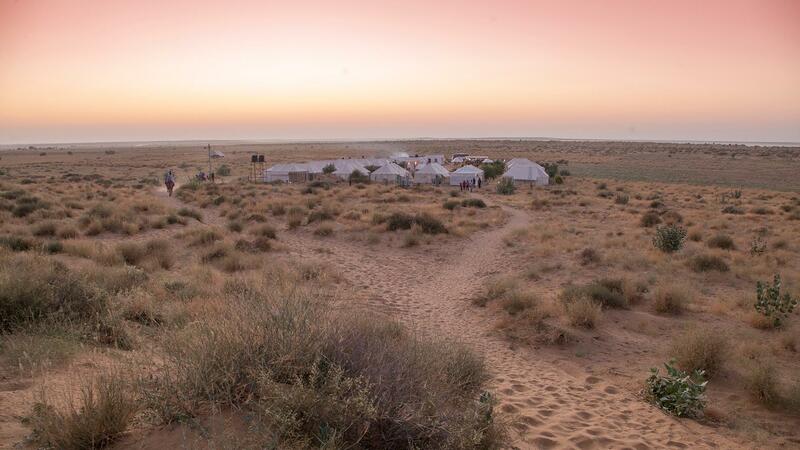 There are many desert camps in Jaisalmer . Though this was one of the farthest ones the location was good and the tents were decent . The staff were courteous. Safe place . It's a nice camp site, just behind the sand dunes. You can literally walk to the dunes. The other thing which is really nice about this camp is that it is away from the other concentrated camp sites, which means you do not hear music or noise from other camps. However, the traditional rajasthani folk program at night was kind of okay - it could have been a lot better. Lastly, the linens and blankets didn't appear super clean. It was okay, just didn't appear clean as you would find in a hotel. If you enjoy a quieter experience away from the larger camps, this IS THE PLACE. 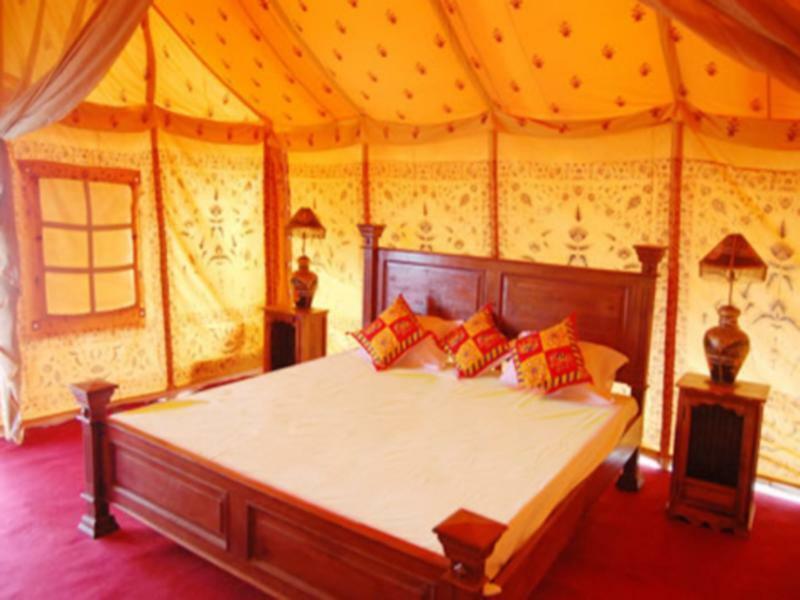 Beautiful tents with private bathrooms. Great service, great food. Camel ride was amazing. Our stay at Prince Desert Camp was the most relaxing experience of our entire 2 week trip to Northern India. Great tents, amazing evening show, good food and great service. Camel ride at 5:30 worth it. Not worth staying longer than 1 day though. Great to be able to walk out of the camp without a guide and see the dunes and desert. Good birds around and small mammals. Loved the dinner and the evening entertainment lacks the usual annoying cheese. Had a wonderful time. 5- 8 mins Walk to sand dunes. Prince Desert Camp is a great place to stay with family in middle of desert. Stayed with family for 2 nights. Its located near a dune which is walkable distance. Its 3/4 kms far from Sam Sand Dunes. Tents are neat, clean and well maintained. Food is tasty. Service is prompt. They host a very good musical cultural dance in evening. Tasty snacks are served during the show. Would like to visit again next year. They took extra care of us as we stayed here for 1 more night to add variety in the food. One suggestion - Improve overall cleanliness of place. Cultural show and not so exciting dinner. Not so exciting breakfast. Camel safari will set you back another rs 400 per person + tip. Room was large and clean, hot water stops just before 9pm. Sam desert is clean, and sunset point is walk-able from the tents, don't recommend the camel safari rides. Sam dunes is loud, with mini parties, jeep safari and "dancers" standing in front of you until you give them money to start dancing. Sunrise in the same point is spectacular, again, with the exception of the loud jeep safari whizzing past you along with screaming passengers.